Previous PostTEN NAMES/TWO SEATSNext PostGRANTED! Peter doesn’t even want to share the crumbs!!!!!!!!!!!!!! Hello? Judge Ribas? Soon the Ross clan will have enough votes to elect a Chief Judge just by counting votes at Sunday dinner. The Law office of Bill Gelin is offering a wonderful holiday special! Free bagel w/ cream cheese with the purchase of a large coffee!!! 3 boxes of K-cups for $19.99!!! Guys in my high school used to cry for their little disadvantaged friends. It was no big deal. The circuit has more important issues to deal with at this time. Getting Judge Hurley out of bond court should be of the highest priority. An arrested persons rights at a first appearance hearing should not be left to someone playing to a mass media audience. Judge Hurley should not be permitted to sit there playing to his audience rather than following the rules of criminal procedure mandating first appearance hearings. Judge Hurley should be disqualified from having this assignment. The PD should be filing motions to disqualify him every day. Evans for Hurley, solves homeless issues and gives Circuit soul power. Mags would last 14 hours with Evans helming. Just saying. Judge Hurley is the best thing to ever happen to bond court. The Fink and co-horts should realize that they are not now and never will be in the position to choose which judges sit where. Doesn’t Finkelstein have enough on his hands trying to fill spots vacated by disgruntled attorneys who have quit or are running for office to try to get out from under his thumb ? Face it boys and girls, the public defender is just that and nothing more. His job is to defend indigent clients competently. I suggest he worry about that and not who gets what job and whether they are black or white. That’s the job of the governor and Chief Judge of this circuit. Wise up. That could only have been written by Judge Hurley. How can he only open the position up to court counsel?? I wonder if staff attorneys have felt any type of subtle or not so subtle heat not to apply? Or were they encouraged to apply en masse to make it look cleaner? Or maybe Rieman isn’t applying at all? Too many variables! Does anybody still read the Scum Sentinel ? Like Judge Hurley really cares about what some complaining pd has to say about how he runs his courtroom! More courtrooms should run as smoothly. Can the new Chief Judge demote her to staff attorney if this goes through? Broward doesn’t need anymore snotty white princesses on the bench. Justice Labarga know about this? Whiney’s lucky if his legacy shall be a bag of poop on new courthouse steps. All the time in the world to moon over fate of drunk Broward Judges and in obits for rich friends but never a peep about things mattering in real world. Grossman still exerting influence, yeah? Wasn’t the Fink the beneficiary of being part of the “good old boy” network when Al let him keep his job after he got caught with his client’s stash! Why didn’t they give his position to a deserving non-druggie minority member? Hmmmmmmm? FINKELSTEIN LINK IS INAPPROPRIATE. WE ALL MAKE MISTAKES. HE JUST LUCKED OUT. What kind of a monkey clown show you running down there Weinblatt? This is completely unfair to the legal community. Do you notice they NEVER hire male GM’s? It certainly doesn’t have anything to do with transparency. U scratch my back, I’ll scratch yours. 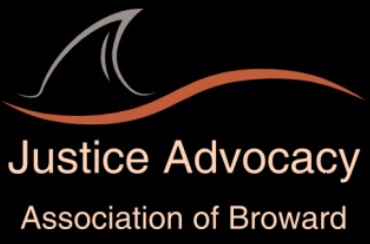 Broward judicial politics after all. We called Weinstein’s office to request they open up the GM position and extend the deadline. I mean like who cares anyway. Court Admin doesn’t do anything anyway. Rieman’s had her snout where it don’t belong for years and is about as lazy as they come. Their only job is to cover for Broward judges that don’t do anything either. Nothing has changed since that other do nothing Carol Ortman was oiling it up with a whole list of unscrupulous characters In black of which the only one left is BBQ Ross since that skeve Grossman slid out under the door. Broward Court Admin is a contradiction in terms full of worthless scuzbags.